We specialise in narrow boats with diesels, but we can also work on other types of boat (we don't service outboards). We'd be pleased to discuss any work you need. Our advice is free (you don't have to take it) and we stick to our quotations; we only do extras if you authorise them. For standard charges see our price list opposite. £30 each way, DIY, £45 both ways; paid in advance. Free to moorers of more than 3 weeks. Assistance from us at hourly rates. 32ft and over: out £350 vee bottomed, £285 flat bottomed; in £230. Under 32’: out £215 vee bottomed, £160 flat bottomed; in £125. Prices based on multiple lifts, subject to availability. Car Parking Free while moorings paid. Non-moorers £30 per week if available. 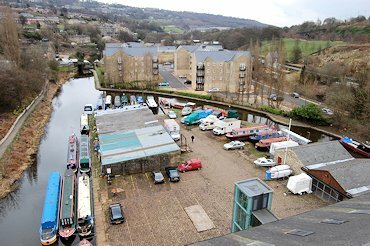 Moorings and storage are invoiced in advance on the first day of the month or quarter (January, April, July, October). New arrivals are initially billed to end of current period. Departures are refunded pro rata only if 28 days notice given. Whether you want to do a small quick job or a total rebuild (the one is apt to turn into the other! ), our yard is the place to DIY. If you want to have part of the work done for you, you are welcome to bring in an outside contractor (subject to our Health & Safety rules); and we are of course happy to quote for any jobs ourselves. 'Did you spray it?' Certainly not, but few can beat our brush painted deep gloss. We prepare very thoroughly, pay great attention to detail, and follow carefully the owner's requirements as to colour layout and decoration. We sell a small number of second hand boats. See our current list and our advice on buying a boat. From an oil change to a complete overhaul, we can give your engine the care it needs. 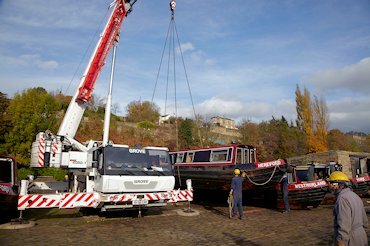 We work on your boat to the same high standards as we apply to our hire fleet, where avoidance of breakdown and long service life are vital. Our Gas Safe Registered team can fit a proper, safe gas system on your boat, or do repairs. 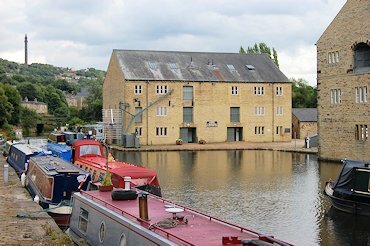 If you are fitting your own gas system, look on the Boat Safety Scheme site for lots of useful advice. Bear in mind that DIY work is not allowed on residential boats. 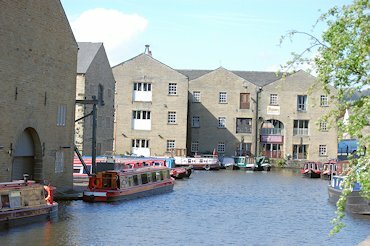 We have a modest shop selling simple things like bilge pumps, our special Rochdale windlasses and blue loo - and gifts…... We have a much bigger stock of things for our hire fleet which are available for sale but not on show. If a piece of kit works for us, it certainly will for you. And we can get anything you need to order, generally overnight. We do these at all reasonable hours. Our diesel is Gas Oil, containing up to 7% bio-diesel. We buy from reputable suppliers, and include an additive to reduce the chance of diesel bug, but take no reponsibility for the performance of our fuel over time. We lift boats out onto our large hard standing area, in batches to get the cost as low as we can. We can pressure wash your boat and apply 2 coats of Intertuf. 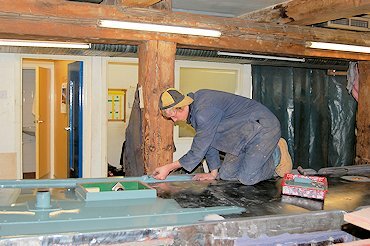 Our skilled boatbuilders can overplate your hull, replace anodes or carry out any other underwater repairs. We can replace worn-out stern gear. For propeller rebalasncing, we recommend J Crowther (0161 652 4234). Our very high standards of joinery can be applied to refits on your boat. Millimetric accuracy and a staggering gloss on varnish-work hide robustness that will stand the test of time. 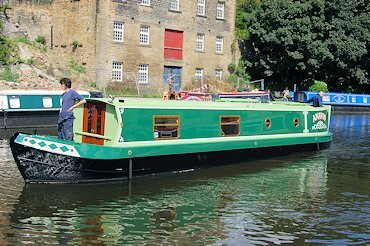 On our Links Page we list other sites we think might interest you, including canal sites and living aboard.